Many people are turning to the Paleo diet to help them eat healthier and live a more natural lifestyle. As the Paleo diet eliminates any prepackaged or processed foods from your diet, this can make snaking quite difficult. Most people reach for the most convenient, quick snacks around and the easiest snacks are usually the ones that are pre-made! Now add a few kids into the Paleo snack equation and the puzzle gets even harder. Finding convenient, delicious snacks that fit into the Paleo diet can be tricky but there are actually quite a few options out there! This guide will help you fill any of your kids snack cravings with a Paleo-friendly food. Before finding the best Paleo snacks for your kids, you should thoroughly learn what foods are acceptable on the Paleo diet and which foods are banned. 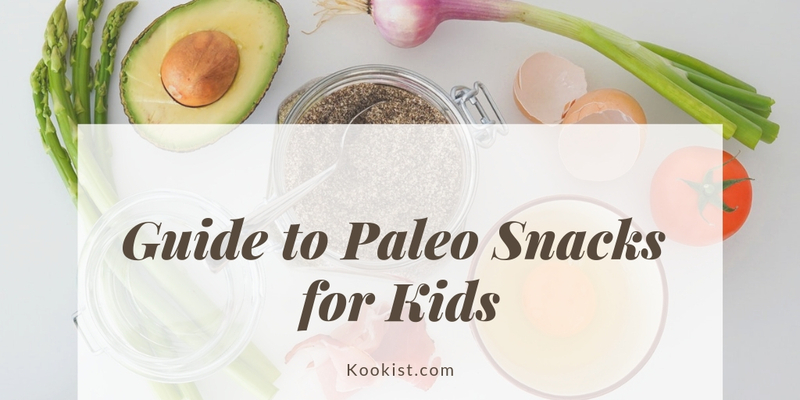 Having a good grasp on the foods that are Paleo accepted will help you greatly when deciding on snack foods for your kids. Start from the Beginning-If you are brand new to Paleo dieting, this is the perfect place to start. With a very thorough look into the Paleo diet and what you can and cannot eat, you will be well versed in Paleo eating after reading this. Cheat Sheet– If you need to quickly revamp your cabinet and make sure all the food in your house is Paleo approved, this short and sweet guide is the perfect tool to use. Straightforward List– If you don’t like to read any fluff and prefer to have just a simple list of foods that are on the Paleo diet, here is the perfect list. Simple to understand and easy to comply with, you won’t have any questions when you follow this list to meet your Paleo diet needs. Checklist- If you like to have a daily checklist to make sure you and your kids are eating Paleo friendly, this is a simple and easy to follow list. Print it out and hang it on your fridge to ensure you are eating and snacking within the Paleo rules! Ultimate Food Guide- A long and detailed list of Paleo foods is what you will find on this site. Almost every Paleo food is accounted for so use this guide to cross check everything you eat. Maybe you have heard of the Paleo diet and think that it is a good idea to give Paleo eating a shot. However, before making such a big dietary change for you and your family, you should try to truly understand the benefits and effects of the Paleo diet. Learn as much as you can about why you should be eating Paleo. The Bottom Line– Here is a clear and consider answer to why you should eat Paleo. An easy to read and easy to absorb outline of the Paleo dieting world. Pluses and Minuses– A perfect place to start when you want to weight the pros and cons of the Paleo diet. Paleo Safety for Kids– When deciding if a Paleo diet is safe for kids, you will want to find some good guides like this. Understanding how a Paleo diet will affect your kid’s overall health is very important, after all! List Lovers– For anyone who loves lists, this article gives you seventeen perfect reasons why a Paleo diet is healthy for you and your kids. Heathy Paleo Kids– The Paleo diet is quite kid friendly and this article will give you all the reasons why. Healthy and well balanced, you will see exactly why your kids should be eating Paleo. Science of Paleo– Several studies have evaluated the effects of the Paleo diet and you can read about them here. Switch Over– If you are ready to switch your family to a Paleo diet, these tips and tricks will help you easily do so. Getting Excited– If you have already tried a Paleo diet and you are trying to get your kids on board as well, this article will give you some great tips and tricks to get your kids excited to eat Paleo with you. The Big List- Over a hundred tips and tricks to eating a Paleo diet that will help you get the most out of what you eat. The Top Snacks– These are the top 35 snacks that are currently on the market and Paleo approved. Perfect for lunchboxes and to grab on the go! Easy Shopping- All of these Paleo snacks can be bought online and delivered to your door. When you are too busy with your kids to go to the grocery store, you can still get those tasty Paleo snacks your kid’s love. Best Tasting– A top ten list written by people who know all about flavor. All of these Paleo snacks should be on your next grocery list! Subscription Snacks- Sign up for this monthly Paleo snack delivery service and your cabinets will always be stocked with tasty, kid-friendly Paleo snacks. Talk about easy! Best Bars- These bars are one of the tastiest Paleo snack around. Your kids will love them (so buy extra) and you will love the super simple ingredient list. Make it All– This extensive list gives you a wide range of Paleo snacks that you can make at home. You are bound to find something that your kid will love and that you will also love to make. Youngest Cave-kids– If you are looking for Paleo snacks for the youngest eaters, these easy to make recipes are perfect as they are suited for toddlers and babies who are just beginning to snack. Soft Paleo foods are the best! Paleo and Gluten Free- Sometimes, just Paleo foods aren’t enough. If you also need snacks for your kids that are gluten free, these recipes are for you. Gluten-free and Paleo but still delicious! Finger Foods- These recipes are Paleo friendly, toddler-friendly and perfect for eating as finger foods. No utensils needed here! Your kids can snack like cavemen too! Fruity Snacking- This is one of the easiest ways for your kids to eat fruit on the go. Delicious fruit leathers that are homemade and 100% paleo is a total recipe win! When choosing snacks for your kids, you likely look for things that are healthy, easy to make and transportable. When you’re on a Paleo diet, you also need things that fit into this extra category as well. This can be tricky! Finding snacks that check all your boxes and are also kid friendly is quite a challenge. However, this article hopefully will help you accomplish your snacking goals in a simple and fun way. Happy snacking!